Special thanks to the Ontario Arts Council for their generous support. Giorgia Volpe, Exercice de mémoire # 1, installation, 2013. Photo: Tom Grgicevic. This exhibition seeks to determine what it means to define something as Latin American art—or someone as a Latin American artist—in the contemporary context of changing global sociopolitical circumstances, flourishing diasporic communities, and accelerating flows of population. 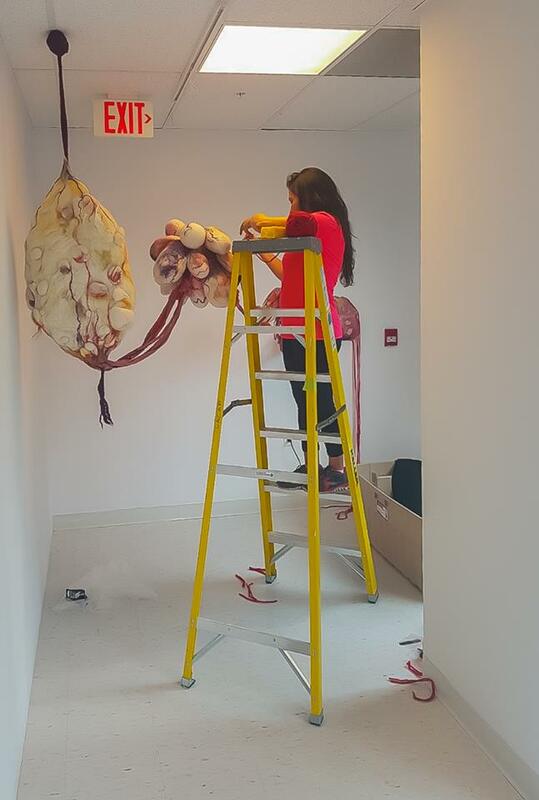 The Recipe brings together six artists with a Latin American background, currently living and working in Canada. Seeing their works in the same exhibition space reveals the wide spectrum of global influences and references that shape these artists’ social imaginaries, beyond solely their cultural roots or geographic origins. ​Romeo Gongora, Liquid Immersion, collaborative performance, 2010. What makes art Latin American in Canada? Is it the artist’s or the viewer’s origin? Is it the context in which the artwork is presented? Is it a shared experience with other counterparts or rather a matter of self-identification? This panel seeks to launch a debate on what currently stands for Latin American art in Canada in light of the longstanding relationship of this country with Latin America and the shaping on the rise of transnational identities. ALEXANDRA GELIS is a Colombian-Venezuelan artist living and working in Toronto, whose practice combines new media, installation, and photography. 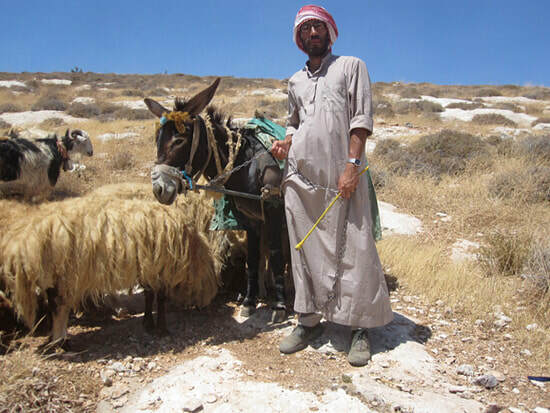 Her projects incorporate field research as a tool to investigate the ecologies of various landscapes affected by socio-political interventions. She has exhibited internationally in North and South America, Europe, and Africa. FRANCES CORDERO DE BOLAÑOS is an Oakville-based, Salvadorian-Canadian artist, graduate of the University of Toronto and Sheridan College joint Art and Art History Bachelor’s Program. 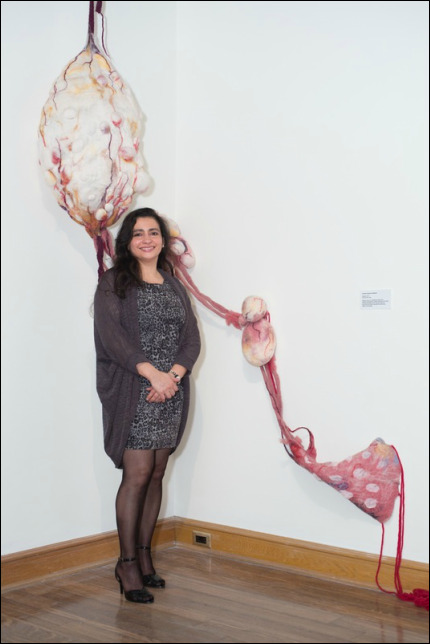 She works in various mediums and is deeply concerned about human rights and women issues. Born in São Paulo, GIORGIA VOLPE lives and works in Quebec City. She holds a BA from the University of São Paulo and an MA from Université Laval. 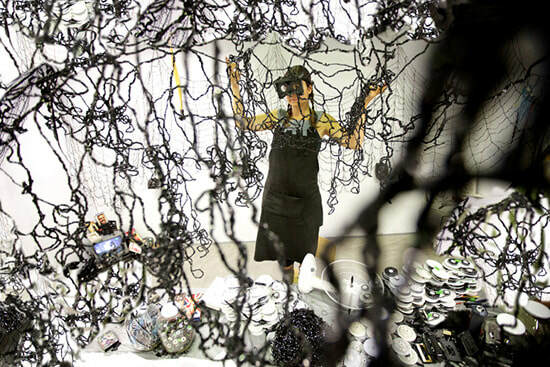 Her work has been featured in solo and collective exhibitions at such venues and events as: Biennale de Lyon (France), Musée national des beaux-arts du Québec, Symposium de Baie St-Paul, Manif d’art de Québec, Bangkok Art & Culture Center (Thailand), and Xiang Xishi Center for Contemporary Art (China). Colombian-born artist based in Chicoutimi, Quebec, PAOLO ALMARIO studied at the Facultad de Arquitectura y Diseño of Universidad Los Andes (Bogotá, Colombia) and has a Masters in Arts from the Université du Québec à Chicoutimi (UQAC). Almario uses computers to modulate, automate, encode, process, and materialize digital samples of reality in a variety of forms. His work has been presented in Canada, Colombia, Belgium, Italy, and France. ROMEO GONGORA is a Canadian-Guatemalan artist and Ph.D. candidate in Fine Arts at Goldsmiths, University of London (UK). Since 2008, he has conducted major collaborative art projects that evolve within the social sphere, integrating politics and pedagogy in the practice of performance. Gongora has presented his work at Musée d’art contemporain de Montréal, HISK (Belgium), Centre of Art Torun (Poland), Centre Makan (Jordan), and Leonard & Bina Ellen Art Gallery. TONEL is an artist, critic, and curator who lives and works in both Canada and Cuba. He has exhibited extensively including at the Havana, Sao Paulo, Berlin, and Venice Biennials. His upcoming solo exhibition Ajústate al tema will open this December at Museo Nacional de Bellas Artes de La Habana. More recently he contributed to the book Breathless Days, 1959 – 1960 (2017), edited by Serge Guilbaut and John O’Brian (Duke University Press). ANALAYS ALVAREZ HERNANDEZ is an art historian and independent curator. She received a BA in Art History from the Universidad de La Habana and a Ph.D. in Art History from the Université du Québec à Montréal. Cross-cultural multilingual education and professional experience have contributed to Alvarez Hernandez’s expertise in public art and immigrant heritages. From 2016 to 2018, she held a position as Postdoctoral Fellow in the Department of Art History at the University of Toronto. She currently teaches at the University of Ottawa. DAYMI COLL PADILLA is a Toronto-based, Cuban-born art historian, independent curator, and co-founder of Havana Streetview Project. 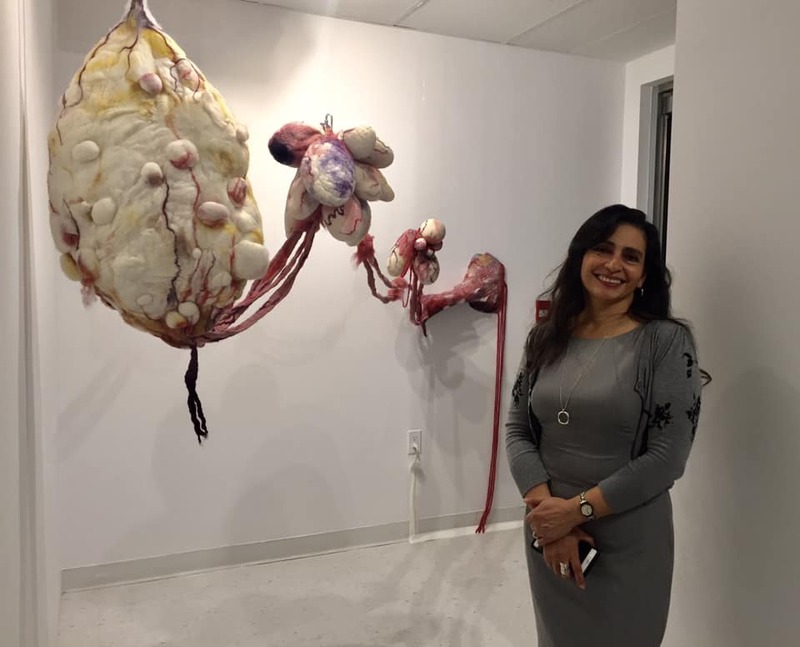 She completed her graduate and undergraduate studies at the Universidad de La Habana and held a curatorial position at Centro de Desarollo para las Artes Visuales (CDAV). 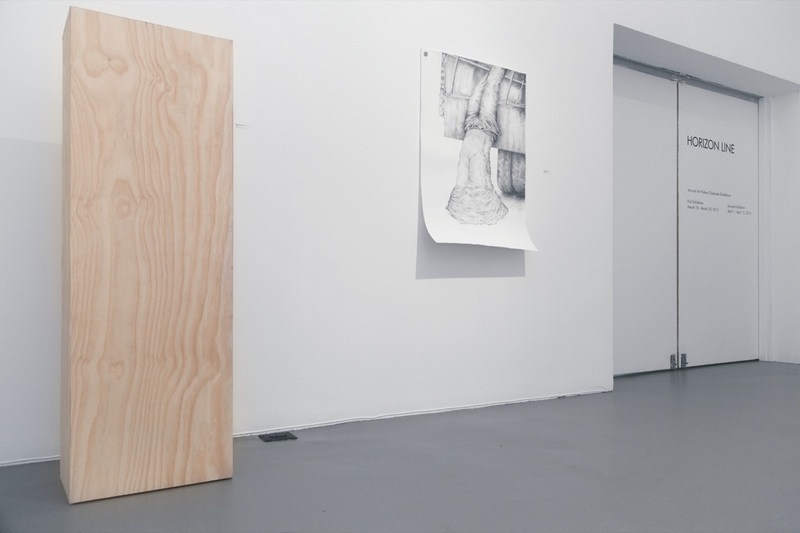 Coll Padilla has curated numerous solo and group exhibitions, given lectures about contemporary Cuban art, and written for various publications. She was part of the Curator and Producer team of the 10th Bienal de La Habana. (UNAM). She teaches Hispanic visual culture at the University of Western Ontario. University in contemporary Latin American and Latino Canadian art. LACAP acknowledges the financial support of the Canada Council for the Arts, Ontario Arts Council, Toronto Arts Council, and The City of Toronto through section 37. LACAP also acknowledges its corporate sponsors: Underline Studio and See Through Web. TORONTO: THE VIEWS ARE DIFFERENT HEREThis exhibition, Toronto: The Views Are Different Here, was curated by students Amanda McNeil and Nikita Lorenzo from the University of Toronto’s Masters of Museum Studies Program, in collaboration with the City of Toronto Art Connections Program, as part of their final capstone project. The Views Are Different Here is the first exhibition that McNeil and Lorenzo have worked on in the role of curator. They both decided to create an exhibition that would speak to the people of Toronto; something that had depth while remaining familiar. Yet, every time they thought of typical images of Toronto, all that came to mind was the CN Tower or the city skyline. These images are not representative of what Toronto means for either of them, and it made them wonder how those living here think of their own city. Toronto: The Views Are Different Here showcases the works of 29 artists (Christian Andrabado; Michael Barlas; Aisha Chiguichon; David Chinyama; Nic Cooper; Frances Cordero de Bolaños; Rob Croxford; Mahmoud Fahmi; Janny Fraser; Cassandra Fullerton; Janet Gallo; Nellys Garcia; Florin Hategan; Kayla Jaques; David Johns; Andre Kan; Anna Khokhlova; Sangmin Lee; Karin McLean; Rob Niezan; Addae Nurse; Shannon O’Toole; Jamileh Salek Ostadtaqi; Walter Segers; Maheen Siddiqui; Natalia Starikova-Abud; Leah Tomlinson; Diane Walton; Shelley Wildeman) who have lived, or are currently living, within the city. This exhibition features paintings, sculpture and photography to convey the individual realities of Toronto’s most important asset: its people. 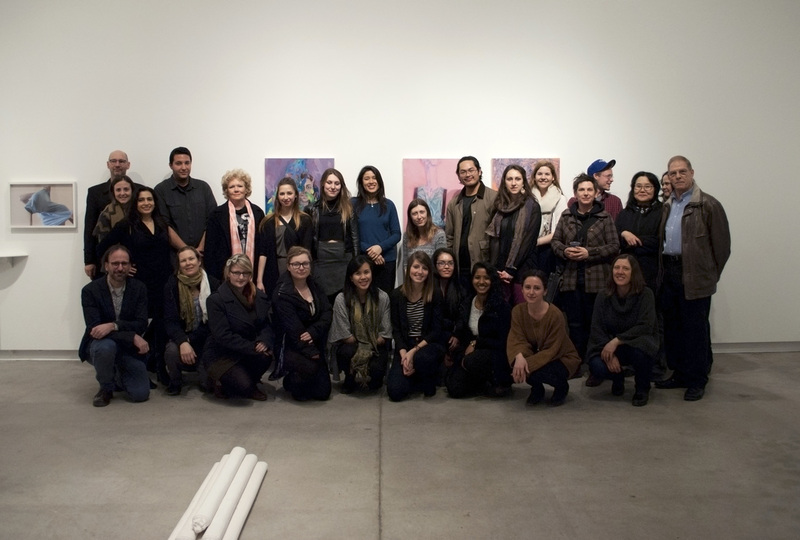 The University of Toronto Mississauga, Art & Art History student Frances Cordero de Bolaños was awarded one of the three cash prizes for best work at the 9th Annual University of Toronto Shelley Peterson Student Art Exhibition 2015. 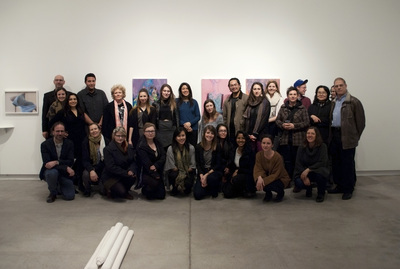 The exhibition is on at the University of Toronto Art Centre on the St. George campus until April 11. 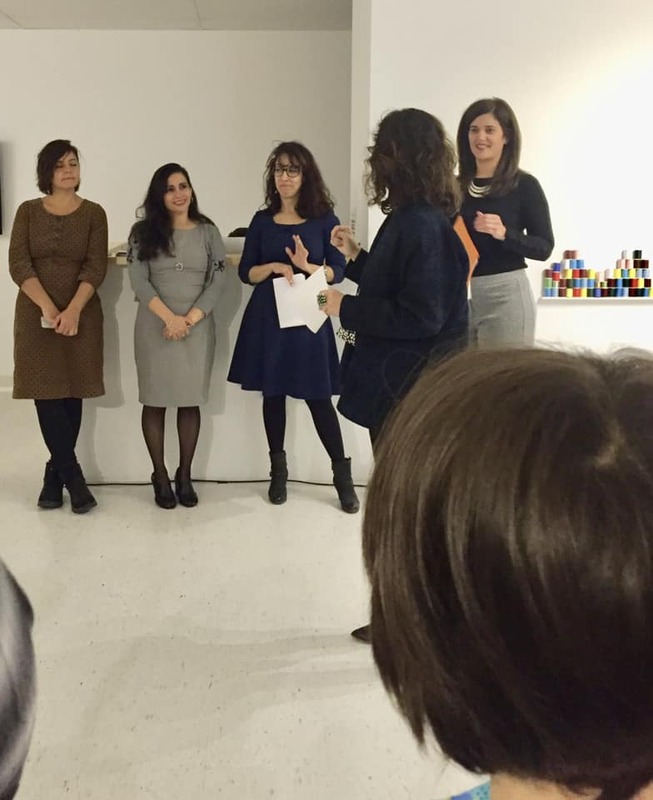 The exhibition was curated by U of T Museum Studies students Molly McGowan, Mel Mundle, and Jennifer Rodrigues. The prizes were awarded by a jury consisting of artist Shary Boyle; writer, educator, and curator Gabrielle Moser; and Power Plant Director Gaëtane Verna. 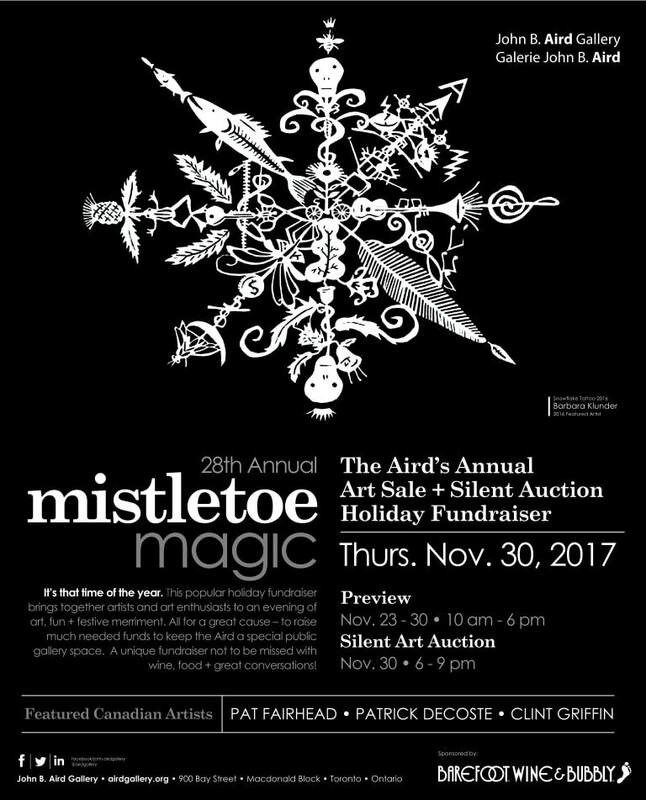 Information provided by Blackwood Gallery. Professor John Armstrong took the photo.